of Indigenous Peoples, but changed its position in 2016. Any violation of these rights, as well as the many others in the declaration, is considered an assault on not just the people involved, but on the collective minimum standards for the survival, dignity and well-being of the Indigenous Peoples of the world. By forcing children from their homes and communities, by systematically deconstructing traditional forms of law, governance, health care and spirituality, by refusing Indigenous Peoples the right of self-determination, by eliminating control over who is a member of the community and by forcibly relocating Indigenous Peoples and communities, Canada has a long-standing record of both human rights and Indigenous violations. These systemic, policy- and law-driven assaults on the rights of Indigenous Peoples have directly contributed to the state of Indigenous health, well-being and cultural sustainability present in the country. Indigenous Peoples have a lower quality of life, health and well-being as a result of these violations. By the 1990s, Indigenous activism surrounding the tragic legacy of residential schools was beginning to gain momentum, as was a need to take legal action. By the 1990s, Indigenous activism surrounding the tragic legacy of residential schools was beginning to gain momentum, as was a need to take legal action. In 1996, a group of 27 Survivors in British Columbia filed a class-action lawsuit against the Government of Canada and the United Church of Canada. 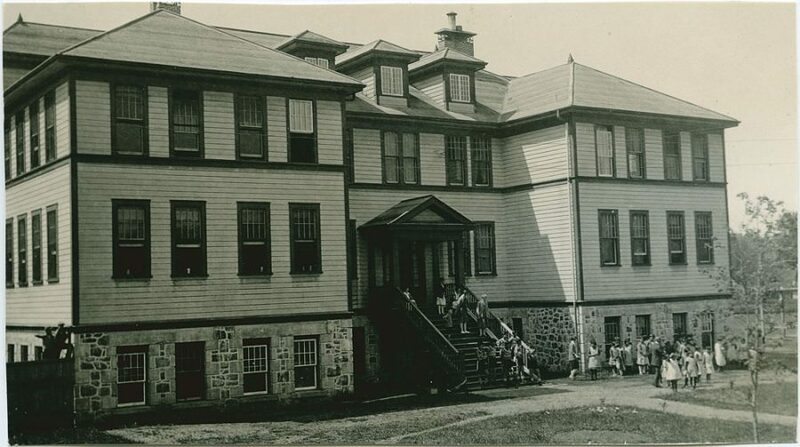 The suit addressed claims of abuse at the Alberni Residential School located on Vancouver Island in British Columbia. The case, Blackwater vs. Plint (2005), lasted nine years, with the Supreme Court of Canada eventually finding that churches, as charities, could not claim immunity from damage claims and therefore shared the blame with the government. Through the brave testimony and fight of the Blackwater plaintiffs, this case opened the door for thousands of other settlements, ultimately resulting in the 2006 Indian Residential Schools Settlement Agreement. 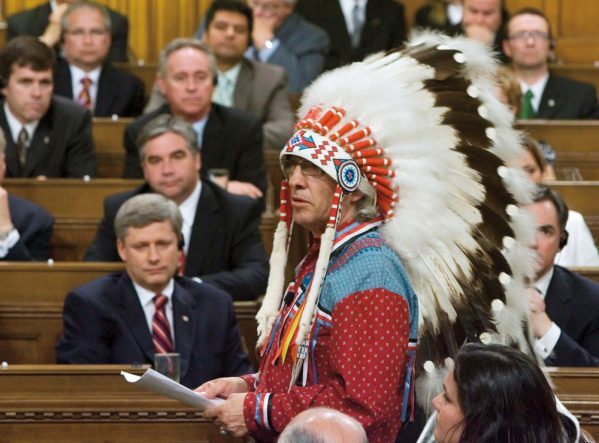 The Assembly of First Nations Chief Phil Fontaine addresses the House of Commons on June 11, 2008, the day the federal government apologized for residential schools. Through this agreement, Survivors, representatives of First Nations and Inuit governance, representatives of the United, Anglican, Presbyterian and Catholic entities with the Government of Canada settled what was, at the time, the largest class-action settlement in Canadian history. The IRSSA provided two streams of compensation for Survivors. The Common Experience Payment, which concluded in 2012, compensated any person who attended one of the 139 residential schools listed in the settlement. The CEP paid $10,000 for the first year a Survivor attended a recognized residential school, and $3,000 for every additional school year (or part of a school year) after that. The second form of compensation was the Independent Assessment Process, which was available to anyone who experienced physical or sexual abuse. Survivors who applied for IAP compensation were required to share details of the abuse — including the duration, the identities of the abusers, and medical and personal information — at a hearing. Both processes were difficult for Survivors and their families because in many cases people were telling these stories of abuse for the first time and therefore reopening old wounds. In both processes, rejections, inability to confirm attendance at schools, failures of the process and dismissals of claims re-traumatized Survivors, resulting in even further harm. Achieving respectful, safe and fair compensation processes for widespread human rights violations and sexual and physical abuse remains a complicated and difficult procedure for this country moving forward. The settlement agreement also provided additional funding to the Aboriginal Healing Foundation so it could continue to offer community-based healing projects up until 2014. As well, the settlement agreement allowed for a commemoration fund to help communities honour their experiences at residential schools in a manner appropriate for the communities affected, and it provided funding to create the Truth and Reconciliation Commission. The National Centre for Truth and Reconciliation is the final and lasting organization directly emerging from the IRSSA, while the TRC has called for the creation of an Indigenous languages commissioner and a national council on reconciliation. In 1996, 27 Survivors of Alberni Residential School on Vancouver Island filed a class-action lawsuit against the federal government and the United Church of Canada. The case led to numerous similar actions. On June 11, 2008, former prime minister Stephen Harper, offered a public apology to those affected by residential schools. The leaders of the Liberal party, the New Democratic Party and the Bloc Québécois issued official apologies in a rare coming together of all political parties in acknowledgment that the harms inflicted on Indigenous Peoples transcended political affiliation and struck right at the heart of what it meant to take responsibility as a Canadian for past actions. Representatives from Indigenous groups across the country, as well as Survivors, were in the House of Commons to witness the apology. The burden of this experience has been on your shoulders for far too long. The burden is properly ours as a government, and as a country. There is no place in Canada for the attitudes that inspired the Indian residential schools system to ever prevail again. You have been working on recovering from this experience for a long time and in a very real sense, we are now joining you on this journey. The government of Canada sincerely apologizes and asks the forgiveness of the Aboriginal peoples of this country for failing them so profoundly. We are sorry. While litigation, lawsuits, settlements and apologies play just a small part in the larger goal of reconciliation, they do begin to address a colonial legal system that was complicit in the dispossession and marginalization of Indigenous communities, and it helps to recognize a collective harm that was, until recently, ignored. 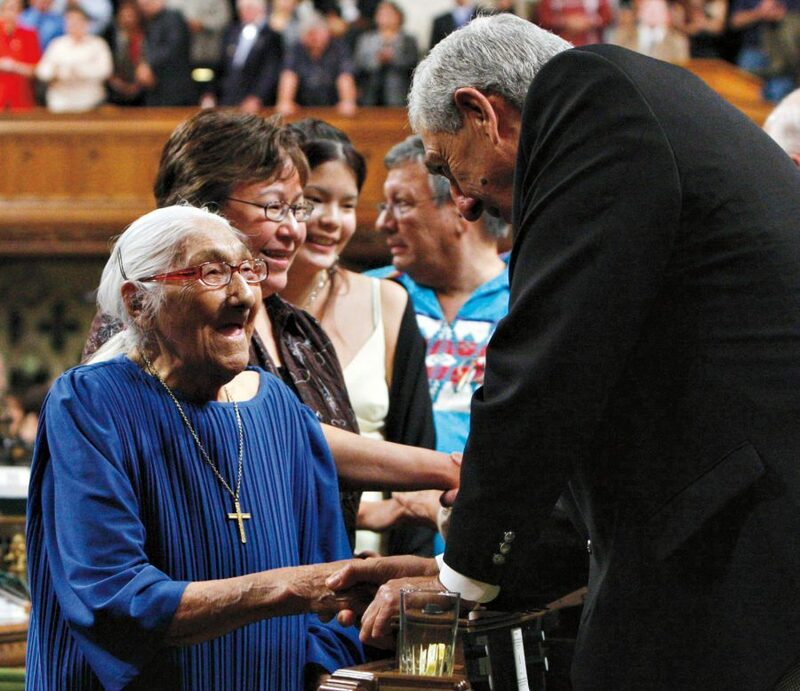 The then-oldest surviving residential school victim, Wabano Marguerite, is greeted in the House of Commons on June 11, 2008, during the federal government’s apology for residential schools.